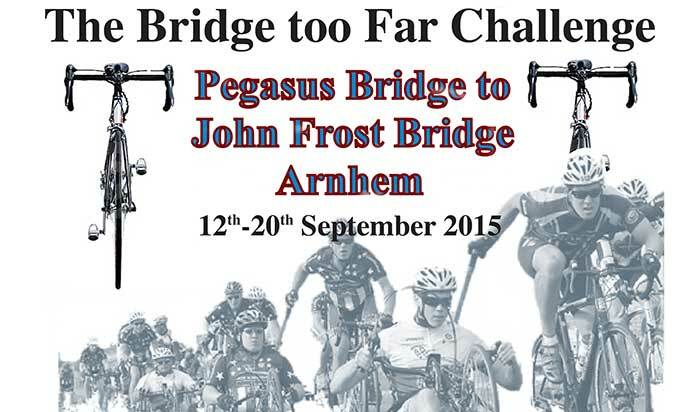 John Cooperwhite, Director of GMRS, will be cycling from Pegasus Bridge to John Frost Bridge in Arnhem from 12-20th September, the cycle will be 453 miles in total, one mile for each British Service person lost in the Afghanistan conflict. All money raised will go to Pilgrim Bandits Charity, who help injuted Service persons lead a full and active life. You can donate from your mobile, just text JCAC68 followed by your donation £1, £5, £10 etc. to 70070, this is free text service and all money donated goes to the Pilgrim Bandits Charity. Thanks in advance for all donations received.